The neglected state of psychiatry in China is highlighted in an article published by Xinhua this week. In essence the article says that psychiatrists are overworked, underpaid and undertrained - and thus seldom have the time or inclination to provide any kind of talk therapy to patients with mental health or psychological problems. Just drugs. According to the article, the typical psychiatric consultation involves filling in a form that consists of a few questions such as "Do you have trouble sleeping at night?" and "Do you think life has little meaning?" After reviewing the answers to the form, the doctor then hands over a bag of pills - or a prescription - with little dialogue or questioning between doctor and patient. According to one young woman who sought help for nightmares and severe stress, the process made her think of the doctor as more of a pharmacy clerk than a psychiatrist. The article then compares the cost of seeing a psychiatrist at a public hospital - about 50 yuan for 10-20 minutes, with the 1000 yuan fee for a similar consultation with a 'counsellor' in a private clinic. One psychiatrist said that psychiatry was a low priority for most hospitals because unlike 'procedural' branches of medicine there was very little profit to be made from seeing patients. He said some irresponsible doctors tried to increase their income by seeing as many as 30 patients in one morning and providing many kinds of expensive psychotropic drug - all encouraged by pharmaceutical companies as part of the biomedical model of psychiatry. However, many patients said they wanted more time to talk with a doctor and discuss their problems in more depth. To do this, a doctor could not see more than 10 patients in one shift - but this is just not viable for public hospital psychiatric clinics. Another psychiatrist told Xinhua that China had a mental illness rate of about 17% - which meant there would be 173 million people requiring psychiatric treatment. However, China has only about 10,000 qualified psychiatrists, which is far too few to manage this number of patients. The shortage of psychiatrists is especially bad in rural areas. Experts said that typically a psychiatric patient might need at least four sessions of psychological treatment lasting one hour each. However this was not possible when hospitals could only charge 30-50 yuan per doctor visit. 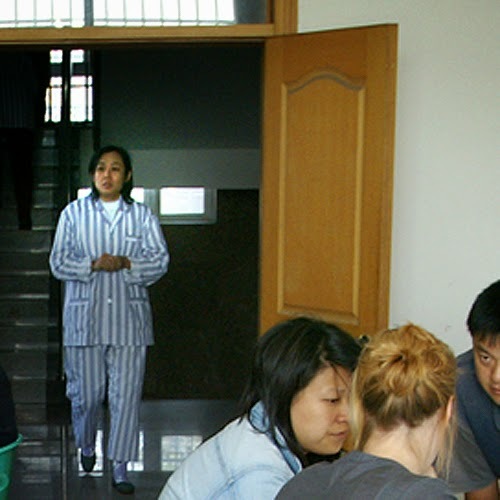 Therefore, some patients turn to private clinics which charge 500-1000 yuan for a single consultation, even though some of these are run by unqualified practitioners and offer unscientific therapies. World mental health Atlas and Mental health gaps are two published reports by WHO. I hope they have reported correct figures and details about services and available manpower. For crises when you do overlook,https://tadalafilgen.com/ since you have a prepared for circumstances like this to take a keychain compartment with additional pills, the pills get taken when you have a break.